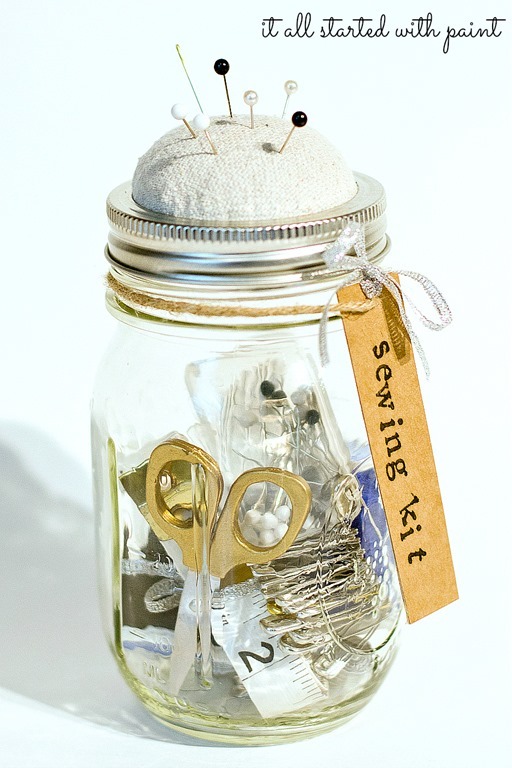 Mason Jar Sewing Kit How To Make Tutorial. 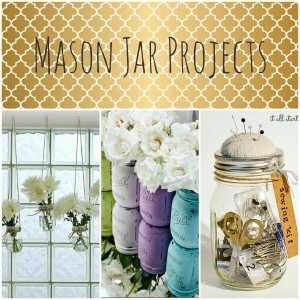 I have to admit the whole mason jar allure eluded me at first. I did break them out for a fall votive project. And then again when I was trying out a blue tint recipe using Mod Podge and food coloring. 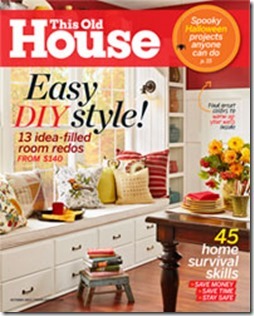 … you know, with 6-8 weeks of mason jar projects. The Anthropologie version retailed for $45.00. Not quite sure how that added up. My version cost me $0. Perhaps those gold tipped scissors in the Anthropologie version are made of 14K gold? Mine were originally bright orange plastic that I gave a few coats of gold metallic paint. Maybe the Anthropologie thimble was forged from platinum? Mine was cheap and plastic and painted with silver paint. Are the safety pins sterling? The tape measure leather? The push pins topped with pearls and onyx? Could the Anthropologie pin cushion be made of the finest silk? … and feel free to glue yours down much neater than mine! I’ve been waiting, for years, to get inspired to do some canning, but this project appeals to me much more! Thanks for the fun idea! Linda, I clicked on the link to see the original and truthfully – I like yours a whole lot better! So cleaver Linda! You did a great job making this on your own.I need to check out Anthro for inspiration.I have never been to one of these stores ever.And I have not looked on line I think I should! Hope your finger is healing! What a fun project. 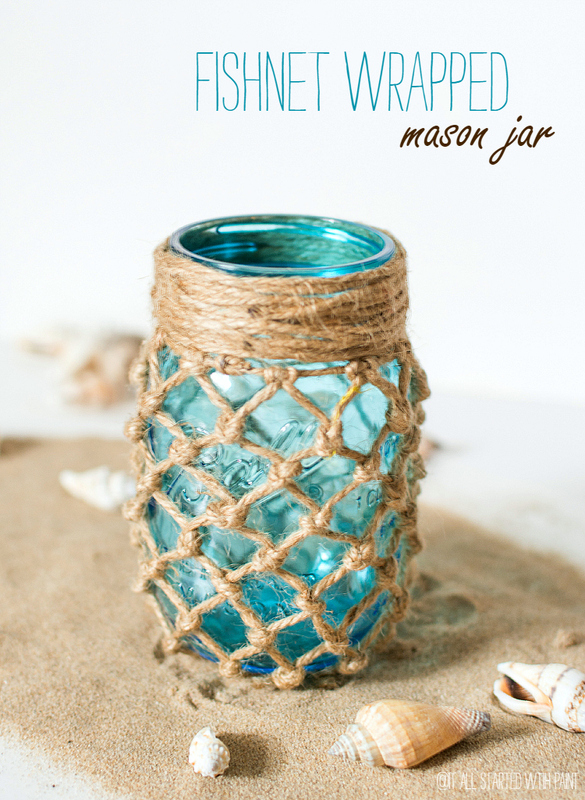 So glad you finally were inspired to use your mason jars because this is one of those projects I want to go make right now. I can’t believe your scissors had an orange handle before you got crafty with them. Beautiful pictures, great project. That is so neat! I definitely need to make one of these now! 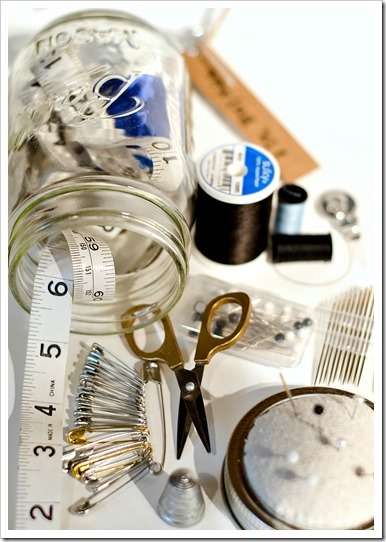 I’m constantly losing my sewing supplies! Well if making that gets you kicked out of anyplace, I’m going along since I pinned it. yeah they charge way to much for most things! I made those jars too – to sell at an event a couple years ago. I sourced all the stuff bulk but it still came up to about $16 per jar when you are using all the real stuff. And that was getting stuff cheaper by buying bulk. Sourcing all that stuff from Jo-anns would have been at least 25. 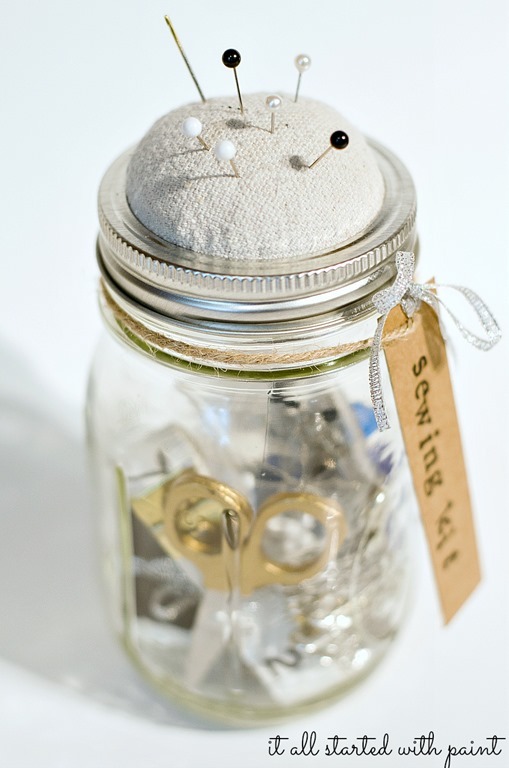 So it isn’t exactly cheap unless you have the stuff on hand, only want to make one, and you use your awesome ideas for the scissors and thimble! Well done – I like your version very much! This is a great idea. Where you able to do it with your injured hand? If so, I might be able to do it even if I’m really clumsy! 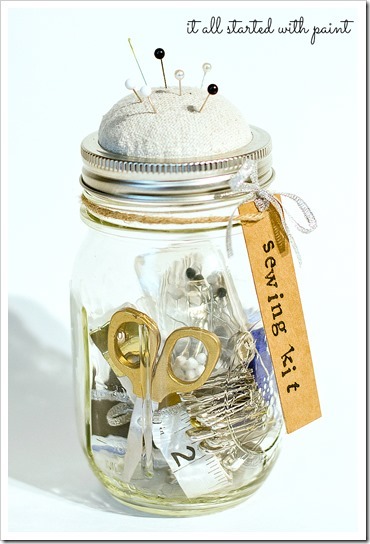 hahaha, the mason jar sewing kit is beautiful, but this post cracks me up. I always wonder what their stuff is made of! Love this, it turned out so cute! Thanks for the inspiration. Personally, I think it’s rude to make fun of the project that you clearly stole this idea from … that being said it is cute but I wouldn’t pay $45 for it either, That’s because we’re crafty types! People who don’t know one end of a glue gun from the other would never make this themselves, but may purchase it as a gift or to have as a decorative item in their home. As a person who sells handmade items, it’s hard to say what is a proper selling price … the supplies don’t fall out of the sky and are usually bought new for reselling as opposed to using whatever you have lying around the house. 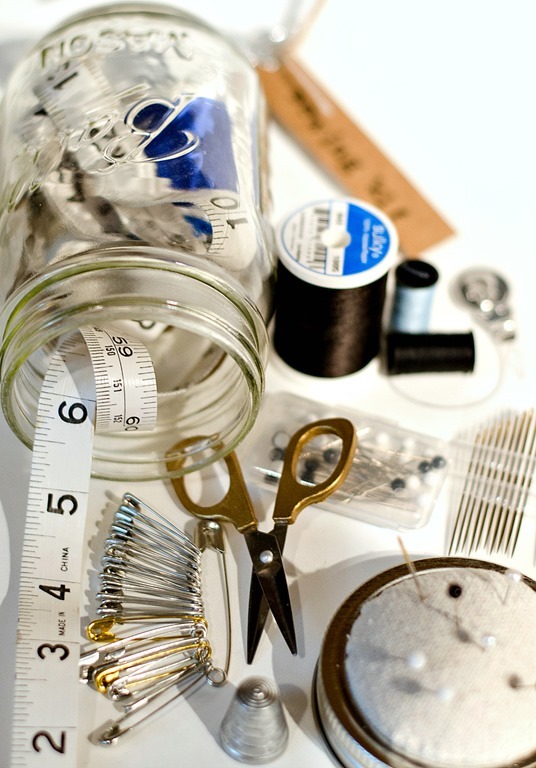 The maker’s time also needs to be factored into the price since we don’t work for free 😉 As Jillflory pointed out it is NOT $0 to make as you yourself said you’d bought the jars at Target, and presumable paid for everything that went into the jar at one time or another. I have about 200 jars, but I use them to can food in. 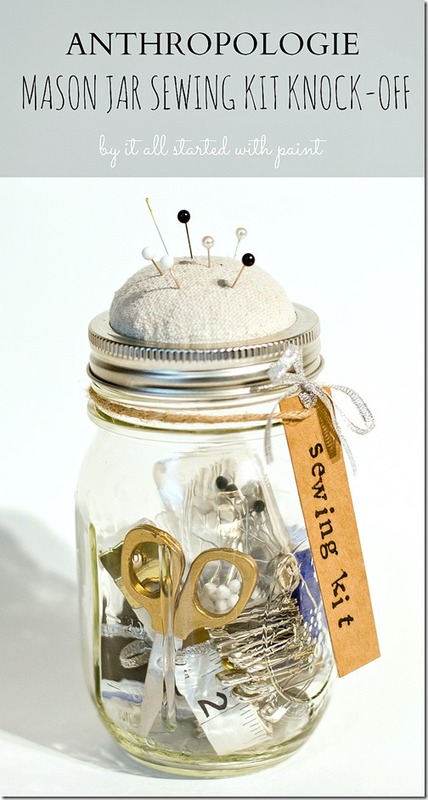 I may use one of my vintage blue jars to make this for myself however! A wonderful idea……make and give to the high school grad going off to college. That is if they know anything about how to sew on a button, tack down a hem, etc. A quick lesson no more than 15 minutes from you gets them started. Storing this away for Christmas gift ideas!! Love! I was at Target yesterday and I saw those very same jars!!! I thought there must be a thousand things I could do with them. I have seen the Modge Podge tint project. I thought those would be nice for the patio in the summer. Oh the things they will be, now I will have to stop on my way home from work and pick them up. They had 3 different sizes, I may get all three!!!! Nice knock-off! I love the way it turned out. You can hardly even tell a difference! Nice job! Just wanted to let you know I’m featuring you this weekend! Come on by and see your name in lights! Thanks for linking up and have a wonderful weekend! I’m having the same problem Elena…did you ever find a solution? In the words of my new fave song (clean version) “Thrift Shop”, this is FREAKING AWESOME! As far as I’m concerned somebody would have to be awfully busy not to try at least to make her own sewing kit. How hard is it? 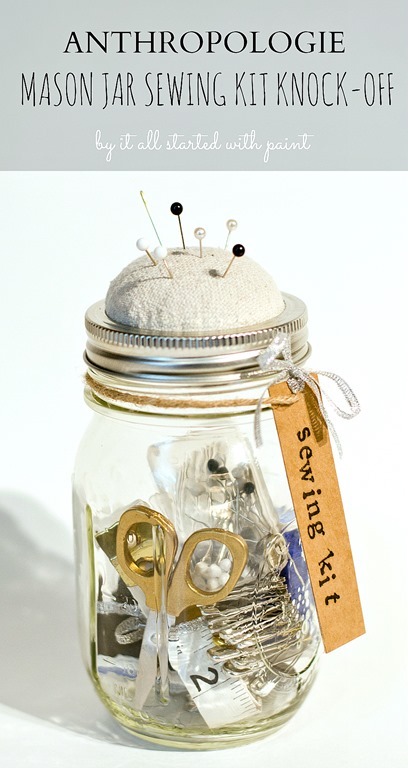 Maybe making the pin cushion on lid would be hardest part besides putting appropriate supplies in jar. Could decorate jar with stickers maybe. I’d like to use one of my blue dyed jars for one. Our grand daughter is going off to college in fall so maybe one of these would be handy f0r her. She’s not one to craft or sew. I didn’t think you were being snarky, just realistic. I don’t have much patience with laziness or refusal to try something at least. Maybe some people just have too much money and not enuf time. Hope nobody is offended by that statement, just being truthful and honest. And Linda people are allowed to have down times, you’ve had yours now you’ve said you’re better, hey who are any of us to complain? life isn’t that easy some times and we just can’t handle it as well as other times. 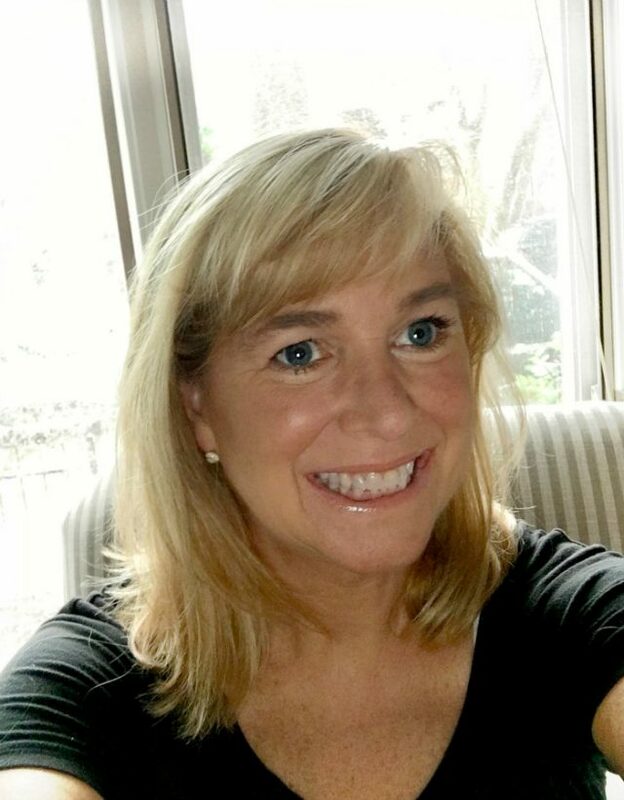 Think I was in a bad funk for few years, went into menopause early and it wasn’t fun for anybody around me, especially me. Hope you have wonderful Easter.